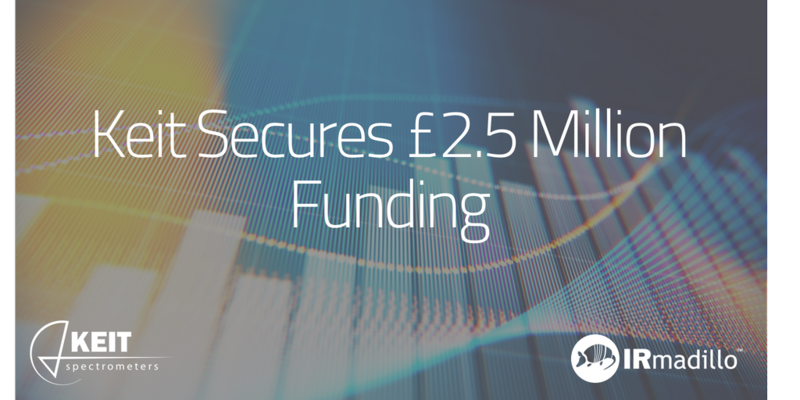 Keit Ltd recently closed a £2.5 million funding round backed by respected technology investment organisations, Longwall Ventures, Angel CoFund, UK Innovation & Science Seed Fund (UKI2S), Wren Capital and the UK government’s Science Technology Facilities Council (STFC), amongst others. Keit has successfully developed an innovative analytical technology, the IRmadillo™ FTIR spectrometer. The IRmadillo is a solid-state analyser designed to enable real-time monitoring of liquids over a range of industries. Significantly, it enables manufacturers to continuously monitor chemical reactions in real time at the point of production. Keit remains based on the Harwell Campus in South Oxfordshire, England, with recent expansion of its facilities to support increased manufacturing and sales activities. Keit began in 2012 as a European Space Agency Business Innovation Centre (ESA BIC) start up. Since then, it has successfully brought a space technology design from prototype to a globally commercialised product with industrial applications. Importantly, Keit’s IRmadillo FTIR spectrometer provides real-time process monitoring of chemical concentrations in liquids. More robust than any other conventional process analysis instrument, the Keit IRmadillo changes how manufacturers can monitor and control their processes in the Chemical, Petrochemical, Oil & Gas, Biorenewable, andPharmaceutical industries. Keep up to date with Keit news on LinkedIn and Twitter. Meet us in person at events throughout the year.